Our Celina cosmetic dentist encourages you to discover how much you know about cosmetic dentistry by answering the following true or false questions about veneers. You can check your answers by clicking “Read More” below. Q1. True or False: Porcelain veneers can last for decades with proper dental care. Q2. True or False: Dental veneers are often called instant orthodontics. Q3. True or False: Veneers cover an entire tooth. Q4.True or False: Permanently stained teeth cannot benefit from porcelain veneers. Q5. True or False: Porcelain veneers can make unusually small teeth appear larger. A1. True—Porcelain veneers have been known to last up to thirty years with regular dental cleanings and proper oral hygiene. Our dentist in Celina can help you prevent veneer staining, keep your teeth healthy, and your cosmetic restorations beautiful for years to come. A2. 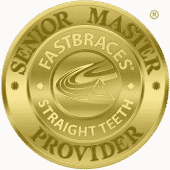 True—Veneers are considered instant orthodontics because the cosmetic procedure can correct crooked smiles lightening fast compared to traditional braces. Porcelain veneers allow you to have an evenly spaced, straight smile in as little as two office visits. You can even close smile gaps and correct mildly misaligned bite. A3. False—A benefit of porcelain veneers is that the restoration is minimally invasive and requires little preparation. Unlike a dental crown which replaces the majority of the tooth’s outer structure, veneers only cover the front side of a tooth. A4. False—Since veneers cover the entire front side of the tooth, discolorations are covered with the thin porcelain shells. In fact, even teeth with tetracycline staining can look brighter and whiter with porcelain veneers from our Celina cosmetic dentist. A5. True—A common problem associated with bruxism, stubby of short teeth may make your smile seem disproportionate. Porcelain veneers can make smaller teeth appropriately sized. If you would like a smile transformation from our Celina cosmetic dentist with porcelain veneers, contact Celina Family Dentistry at (214) 851-0130 to schedule an appointment. We welcome patients from Celina, Prosper, Gunter, Frisco, Anna, Pilot Point, McKinney, and surrounding communities.